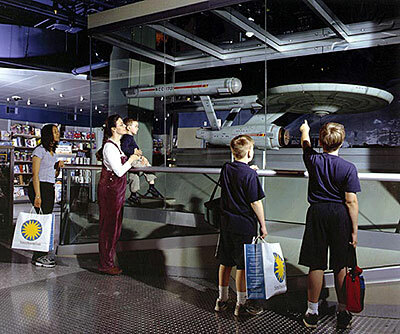 This model of the starship Enterprise was used in the filming of the Star Trek TV show, which ran from 1966 to 1969. It is mostly made of poplar wood and vacu-formed plastic. Sheet metal tubes were used for the two engine housings or nacelles.